Visit http://kamalayan2009.wordpress.com/ for updates and details. Also check out our Facebook event page!!! 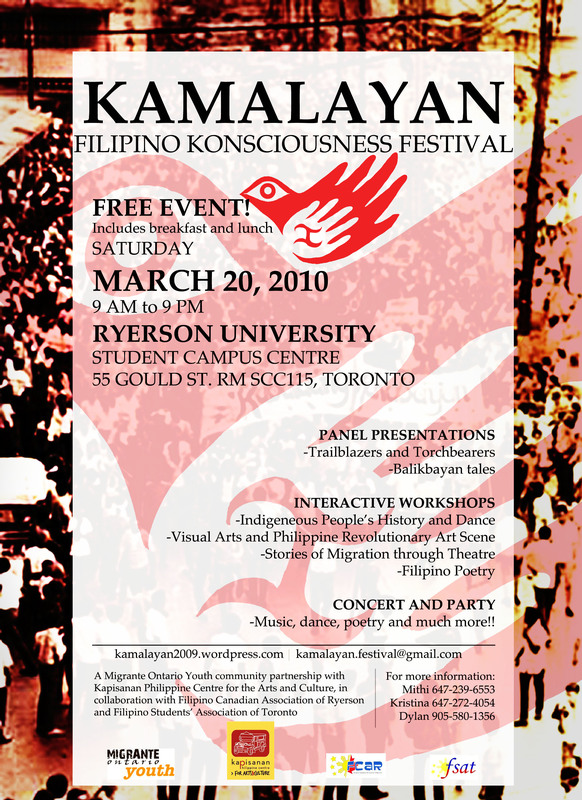 This entry was posted on March 10, 2010 at 11:35 pm	and is filed under Cultural, Educational, Events, Kamalayan Series, News. You can follow any responses to this entry through the RSS 2.0 feed. You can leave a response, or trackback from your own site.